5 Little Wedding Rituals That Always Make A Bride Feel Special! When your wedding day is near and you’re pretty excited about everything from the clothes, the jewellery and the functions, you tend to undermine the excessive love and attention your family showers on you. Their blessings and those of your friends is what truly make you feel like a princess on your big day. So we decided to bring to you those little things that make your wedding the most special moment in your life. At the haldi ceremony, friends and family wake up early in the morning to apply a paste of turmeric (haldi) mixed with either sandalwood and milk or rose water on the bride and the groom. The ceremony is held to sanctify the couple individually and keep them away from buri nazar. It is a cherishable moment when your friends and family wish for your good health and that of your to-be partner. 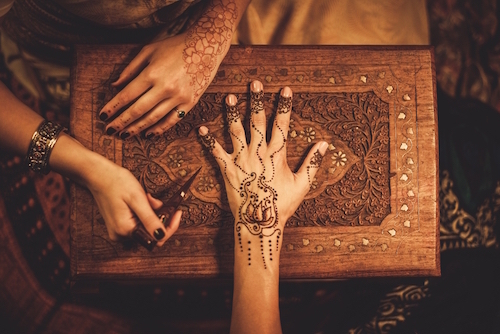 The mehendi ceremony involves putting henna on the bride’s hands and feet and is probably one of the most important adornments during a wedding. The bride-to-be ideally wears yellow on this day for it is an auspicious colour and signifies the innocence of a young bride entering a life long commitment. 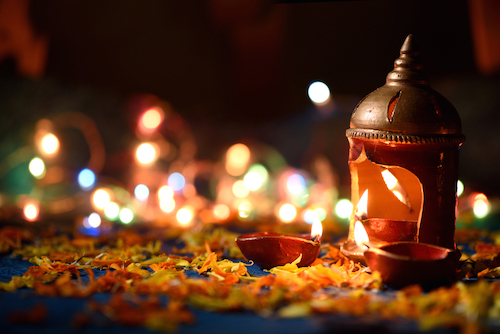 This important Indian tradition has a special place in our hearts, plus scientifically, bright colours are known to make people happy. 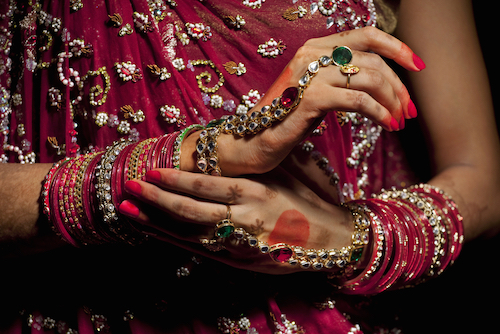 A bride’s trousseau is incomplete without her wedding jewellery. And what makes it even more special is when they reflect the blessing of everlasting love. 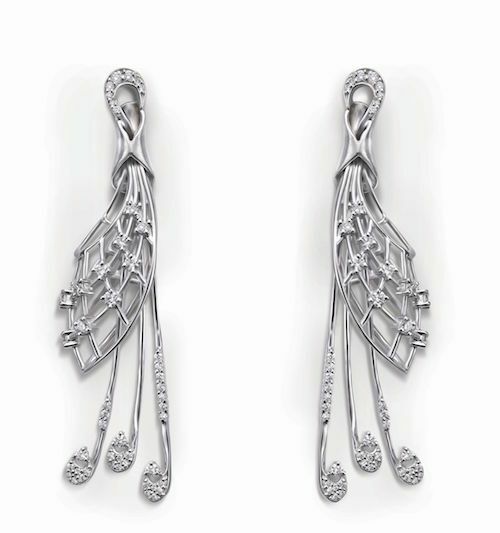 Evara, crafted in platinum, is everlasting which will not tarnish or fade. This is a gift that every bride cherishes throughout her married life. These versatile and classic pieces are the perfect expression of the love, blessings and every time you wear them, they is bound to bring back sweet memories from your wedding! Indian weddings are an occasion for the entire family to get together. Whether it is your door ke mama or your Canada waali maasi, relatives come from all around to bless the couple. One of the most important blessings comes in the form of a maata ki chowki or havan/path, which is a must when it comes to any Indian wedding. Their presence also defines the love of family members for the bride and groom to be apart from praying for blessings to be showered on them. The morning on the day of the wedding signifies an essential part of the to-be bride’s steps towards married life. The maternal uncle and aunt present the bride with a gift that traditionally consist of a set of 21 bangles that she can wear on D-day. These days, the chooda ceremony also includes chocolates and jewellery from the maternal uncle and aunt depending on what the bride likes. The more the merrier we say :) * This is a sponsored post for Platinum Evara.